You can now sign up for Wing Chun Kung Fu classes in Minnesota from International Hall of Fame inductee Grandmaster Steve Lee Swift! Our new, beautiful, fully equipped, Wing Chun Kung Fu gym, is now open in Minnetonka, Minnesota. Our new location in Minnesota is open almost every day of the year to fit almost any Wing Chun student’s schedule. 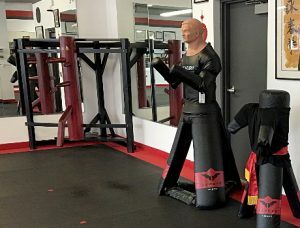 The original Grandmasters Wing Chun gym, established by Grandmaster Swift in Tampa, Florida, is also still instructing students and extending the Ip Man lineage and knowledge of Wing Chun Kung Fu. Order Your Own Wing Chun Kung Fu DVD’s! Even if you can’t get to the Grandmaster’s Wing Chun Kung Fu gyms in Minnesota or FLorida, you can bring Grandmaster Swift to you! 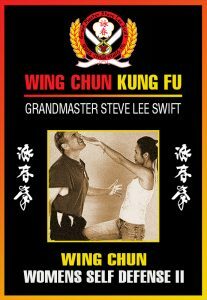 Order your own Wing Chun Kung Fu Instructional DVDs and learn from Grandmaster Swift wherever you live! Get in great shape, improve your health and coordination and learn real world fighting skills. Learn to defend yourself, your family and friends from violence while getting a good workout. Wing Chun Kung Fu provides fitness with a purpose. You will acquire the skills to protect yourself from crime, while also improving your health and personal safety. Experience & Learn REAL Wing Chun Kung Fu! The speed of Wing Chun Kung Fu is lightning fast! See Grandmaster Swift in action! 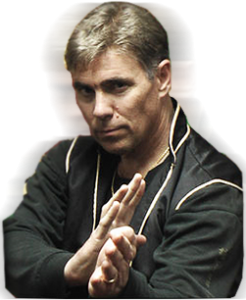 Grandmaster Steve Lee Swift traveled the world and learned Wing Chun Kung Fu directly from the sons of legendary Yip Man (Yip Ching and Yip Chun), Simon Lau, and even the renownedly known Wong Shun Leung. Grandmaster Swift has been honored in 278 news and magazine articles on the Art of Wing Chun, including articles in the respected martial arts publications Inside Kung Fu and Black Belt Magazines. Several publications published articles about Grandmaster Steve Lee Swift when he saved the lives and health of multiple men and women who were the victims of assault. Thanks to Grandmaster Swift’s intervention, these individuals can still tell the story of their encounter today. Grandmaster Steve Lee Swift has 50 years of experience in the world of martial arts. He has dedicated himself to over 42 years of training in Wing Chun Kung Fu and 8 years in Okinawan Karate. Learning from Grandmaster Swift applies his experience to teaching his students the true art of Wing Chun of the Ip Man lineage. He has spent his life perfecting the art of Wing Chun. Today Grandmaster Swift shares his skill and expertise with his students, from beginners to advanced students, instructors, athletes and masters of all kung fu styles.